Torment: Tides of Numenera Walkthrough, Game Guide & Maps. Torment: Tides of Numenera Walkthrough, Game Guide & Maps. It contains Points of Interest (PoI), Quest starters, quests walkthrough, different ways of solving quests. Location and conversation variants with an important NPC including Companions. The location and description of the important items in the game as Artifacts, Cyphers and Oddities. Location of places to sleep and shopkeepers. Torment Numenera Walkthrough, Torment Numenera Maps. This video game is highly nonlinear. 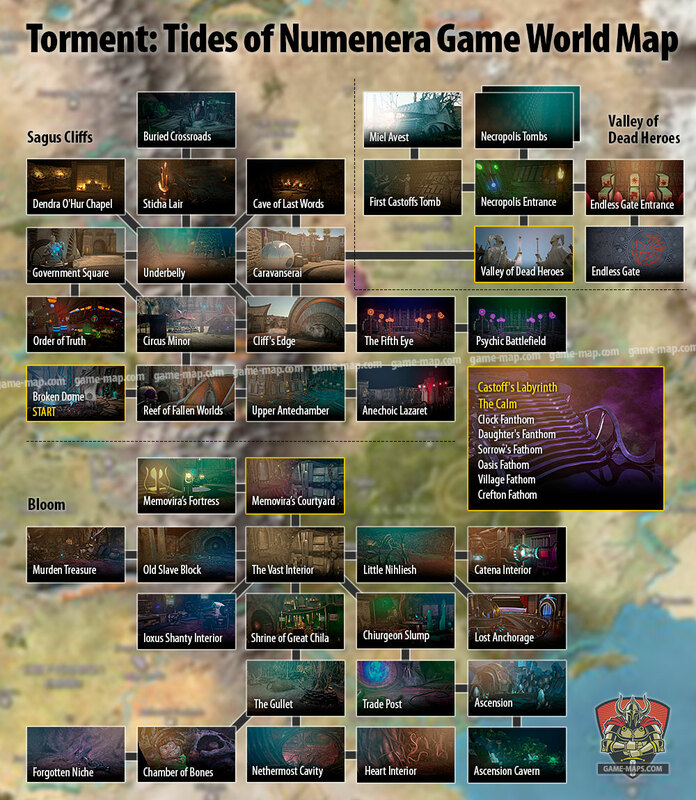 During your first gameplay, you have to accept the fact that you will not be able to check all branches of the story line and solve all puzzles. When you sleep, your Might, Speed and Intellect Pools are fully refilled. However, events can progress while you sleep, changing the status of quests. Use your common sense. If someone tells you, "we have to hurry", do not go on a tour around the whole city and not go to sleep for a few nights in a row. For "sleeping" you have to pay with in game currency. The first place where you can to rest for free is in Circus Minor (02) - Cult of the Changing God Encampment. Shins is your currency. You can sell without much thought all "Oddities" that you will find in the game. It will be the primary source. Think carefully before you buy a Cypher or Artifact. In the game you will find for free and as a reward for quests a lot of good items. Most of cyphers (cool numenera objects) are one-shot numenera device (you can use it only once), but some got permenent effects. Save game before every important quest and dialog. You have to get more than one save game. It is at least a couple of ways to complete Torment: Tides of Numenera. Regardless of the type of character you choose, you can try to be a real tough guy and solve problems by force, you can be clever and try to perform tasks by skills and evasion or you can go through the game "talking all to death". Most situations can be solved without the use of force, using only the conversation. Making this walkthrough I used mainly High Intelligence Pool based skill as Persuasion, Perception, Concentration, Deception and Anamnesis. I suggest choosing this way of playing because I think that the game is more interesting then. So be sure to get high Inteligence, Persuasion and Anamnesis. In addition, learn Scan Thoughts Ability. Scan Thoughts (Ability) - The surface thoughts of most people or creatures you speak with appear in conversations. 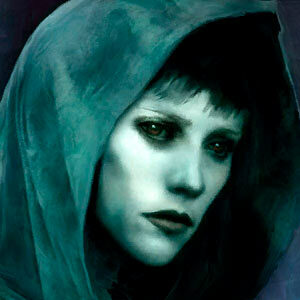 While speaking with the inhabitants of the Ninth World, you will sometimes hear their thoughts. This is often helpful, though rarely appreciated. Anamnesis (Skill) The Last Castoff can access the memories of previous consciousnesses. This skill represents your focus and acumen when attempting to recall those experiences. Tol Maguur will learn you Tidal Affinity Skill in Circus Minor location (19). Feriok in The Fifth Eye Tavern can sell you Pink Sluge drink. It "kills you" (you cant die for real) and moves you to The Calm (Fathom), labirynth inside your mind. The game consists of 4 acts. Moving on to the next act you can not go back to the previous location. If you got Bronze Sphere from Buried Crossroads, can recall members of your team anytime, if you have free slot for another companion. Last Castoff is the main character in the game. Its you and you will control this character. You can be a man or a woman. Callistege is one of six companions, you can join her to your party. She is Nano with unique dimension-shifting abilities. Callistege has gathered esoteries and knowledge from countless realities. She is truly a force to be reckoned with. She is available at the beginning of the game in Broken Dome. If you do not choose her at the beginning of the game in Reef of Fallen Worlds, you will not be able to join her later. You have to choose between Callistege and Aligern. He is available at the beginning of the game in Broken Dome. If you do not choose him at the beginning of the game in Reef of Fallen Worlds, you will not be able to join her later. You have to choose between Callistege and Aligern. If you tell him to leave the party, he will be waiting for you in Underbelly location. 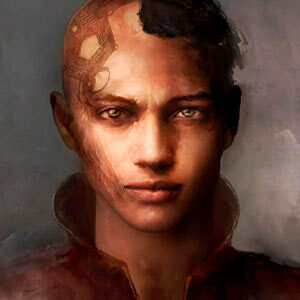 Tybir is one of six companions, you can join him to your party. He is Jack - retired soldier. Tybir has a talent for juggling words, and it's difficult to pin him down to any particular truth. Tybir hasn't lived this long without learning how to survive, even if it's sometimes at others' expense. He may be recruited in Circus Minor during Stay of Execution Quest. If you tell him to leave the party, he will be waiting for you in Caravanserai location. 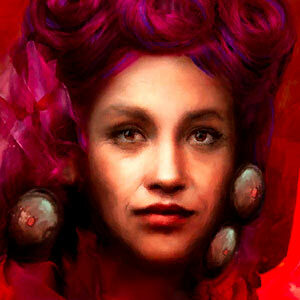 Matkina is one of six companions, you can join her to your party. She id assassin, stealthy jack. Matkina is the kind of ally you want at your side, rather than watching your back. You will find Matkina in Cave of Last Words. 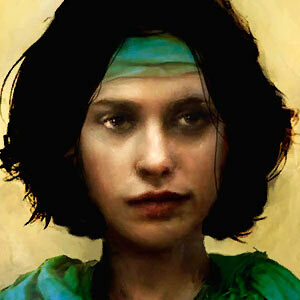 Rhin is one of six companions, you can join her to your party. Rhin insists that the stones she carries with her are gods. She says they help her, though it's hard to know for sure. She claims she can speak to gods. She may be recruited in Cliff's Edge during Beloved Slave Quest. As a child, she is completely useless at the beginning of the game, but it's worth to keep her in party because with each successive level she become stronger. 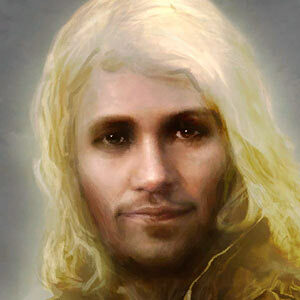 Erritis is one of six companions, you can join him to your party. Erritis is a hero because he believes himself to be so. The more heroic his actions, the more powerful and self-fulfilling they become. He may be recruited in Cliff's Edge, he will wait there for you if you tell him to leave the party. 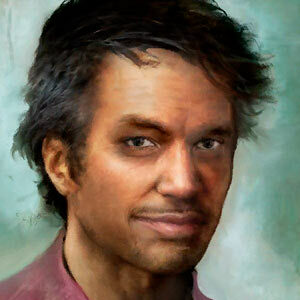 Sir Arthour Torein (in game character)- traveler, explorer, and lifelong student of the numenera. Why do they call this the Ninth World? The numenera are practically everything around you. We live among the detritus of *uncountable* civilizations, many of which were more powerful than you or even I can imagine. Everything they left us is the numenera - weapons, power sources, medicines, gels, plants, animals... why even the very drit in the ground and shins in your pocket are examples of numenera. Oddities are anything that does something strange or magical, but not particularly useful. They're mostly good for making some shins. Cyphers are powerful relics, but volatile. They'll only work once, and if you carelessly put too many together, you get what's called cypher sickness. Artifacts are more stable and last longer. Some of the most famous weapons and armor in the Ninth World are actually artifacts from prior ones. Your Type determines your character Abilities, bonus Skills, and Stats. Glaives (like Warrior in clasic RPG) are the elite warriors of the Ninth World, using weapons and armor to fight their enemies. Scouts, guardians, warlords, and soldiers could be glaives. Most glaives either have a high Might and use the heaviest armor and weapons available, or a high Speed and stick with light or ranged weapons and light or medium armor. Jacks (like Jack of all trades) are intrepid explorers and adventurers. They are jacks of all trades - hence the name - although the word also hearkens back to fables involving a wily, resourceful hero who always seems to be named Jack. Jacks are at their best when they combine weapons, armor, esoteries, cyphers, and a clever tongue. 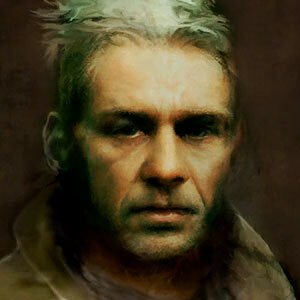 They are treasure hunters, grifters, skalds, rogues, and experts in a variety of fields. Nanos (like Mage in clasic RPG) are sometimes called mages, wizards, sorcerers, or witches by the people of the Ninth World. Whatever they're called, nanos master the mysteries of the past to the degree that they seem to perform miracles using esoteries - spell-like invocations that combine gestures, command words, and psychic disciplines. They tap into nano-spirits, numinous particles that suffuse the landscape, to alter reality or learn things that they couldn't otherwise know. Might, Speed, and Intellect - are resources you can spend to activate abilities or increase your chances of success on any task with Effort. Stat Pools can be refilled by using items or sleeping. Glaives tend to favor Might and/or Speed, while Nanos favor Intellect. Jacks usually benefit from a balanced set of points. Might represents the character's physical strength and resilience. Each point of Might also increases Health. Speed represents the character's dexterity and reaction times. Speed also increases Evasion. Intellect represents the character's mental prowess, willpower, and personality. Intellect also increases Willpower. Abilities allow you to perform special actions in battle, provide benefits you can activate during exploration and in conversations, or give you constant passive benefits. Each Tier, you gain access to new, more powerful Abilities. Each Type has different Abilities available to them. Exploration Skills provide benefits to any tasks and challenges you may come across, increasing your odds of success while using them. Some Exploration Skills may also have additional benefits, such as granting increased Health, or increasing the number of Cyphers you can safely carry. Weapon Skills allow you to use weapons more effectively in battle, increasing your chances to hit your targets. Only Glaives are trained in Weapon Skills. Your Focus grants you additional abilities regardless of your chosen Type. Each provides benefits both in battle and out of it, and is geared towards a particular approach. Descriptors are packages of skills and small bonuses that help set your character apart from others of the same Type. Your Descriptor provides additional modifiers to your starting Stats and Skills. Once selected, your Descriptor cannot be changed. Cautious - You are careful and meticulous, always aware of your surroundings. Charming - You are a smooth-talker and a charmer, able to convince others to see things your way. Clever - You are quick-witted and a good judge of others. You can fool people but are rarely fooled yourself. You're not great at retaining trivial knowledge, however. Graceful - You are quick, lithe, and dexterous, able to move with grace and beauty. Intelligent - You have a sharp memory and can grasp concepts that others struggle with... though you have a tendency toward distraction. Learned - You are studious and know a great deal of information about many things. You have few social graces, however. Mechanical - You have a gift with machines and the technology of the ancients. You're not as good with people, though. Mystical - You have a gift with the numenera, especially the stranger powers of the ancients. You're not as good with people, though. Observant - You pay attention to the smallest details, noticing clues that others often miss. Rugged - You love nature and pitting your wits against the elements. You are tough, as befits a life in the wild. People and machines are something of a mystery, though. Slick - You're a fast talker and a fast thinker. You're not the toughest around, but you can usually manipulate situations such that you don't need to be. Stealthy - You're sneaky and slippery, both in actions and words. You gain advantage through stealth, rather than speed. Strong - You are physically powerful and have a presence to match. You aren't extremely deft or clever though. Strong-willed - You are willful, headstrong, and independent. You know that self-confidence is more important than facts. Swift - Your top speed is unmatched. You may not be the most dexterous, but you're *fast*. Tough - You can take a lot of punishment, shrugging off blows that would down most people. Wrathful - You are quick to anger and have the power to back that anger up. Tides are unseen powers that have profound and lasting effects for those attuned to their motions, serve as a kind of alignment system. The Blue Tide represents wisdom, reason, and enlightenment. People attuned to this Tide seek information and the preservation of knowledge in all forms, whether scientific or spiritual. Scholars, teachers, guides, and mystics are often attuned to this Tide. The Red Tide represents emotion, passion, and change. People attuned to this Tide value responsive action and living life to its fullest. Artists, revolutionaries, warriors, and firebrands are often attuned to this Tide. The Indigo Tide represents justice, compromise, and society as a whole. People attuned to this Tide seek the greater good for the betterment of the larger community, even if it comes at a cost to individuals. Law enforcement, politicians, justices, and vigilantes are often attuned to this Tide. The Gold Tide represents empathy, compassion, and sacrifice. People attuned to this Tide consider the needs of those they care about to be greater than any other consideration. Martyrs, philanthropists, avengers, and guardians are often attuned to this Tide. The Silver Tide represents prestige, power, and renown. People attuned to this Tide desire admiration and respect, all the more because of the influence it gives them in the lives of others. Leaders, celebrities, heroes, and autocrats are often attuned to this Tide. In some people, no one Tide dominates over any other. These people might be capricious *or* they might live their lives in balance - valuing both investigation and action, power and kindness, society's good and the good of the individual. Those who continue this path are not beholden to any one ideal. They are flexible, open to a variety of solutions for each situation. Most find this is not an easy path to follow for very long. Your Dominant Tides will not stop you from taking any paths or picking any options in conversations, but they can influence how others respond to you in subtle ways. (below) This is how Adam Heine Design Lead on Torment: Tides of Numenera described Tides in game pre-production. 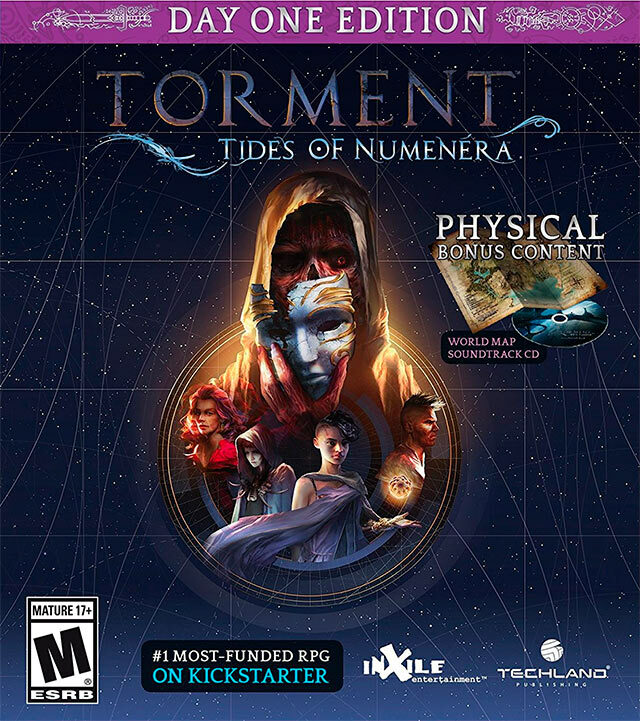 This site is about Torment: Tides of Numenera Video Game, developed by inXile Entertainment https://inxile-entertainment.com/ and published by Techland Publishing http://techlandpublishing.com/. Torment: Tides of Numenera release date: February 28, 2017 for PC Windows, PS4 and Xbox One hardware platforms. 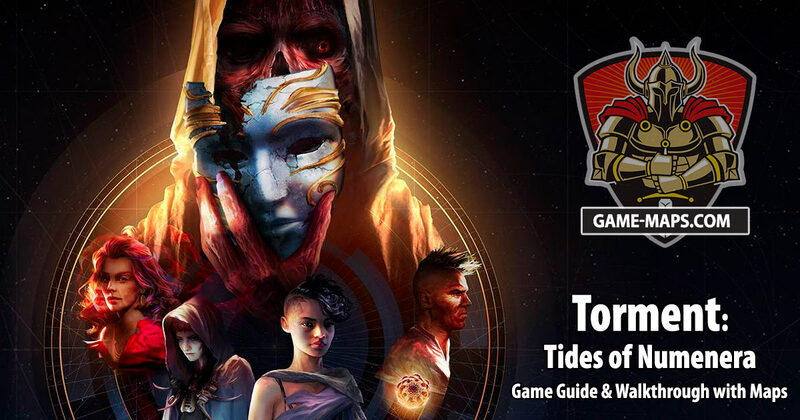 Torment: Tides of Numenera is Role-playing Isometric Adventure, you will find official game page at https://torment.inxile-entertainment.com/. The game is designed for Single-player with a strong focus on story-driven gameplay. Please use Disqus comments to add your comments, corrections and mini walkthroughs. The game is so complicated that every help from pro gamers will be very useful. Thank you very much.